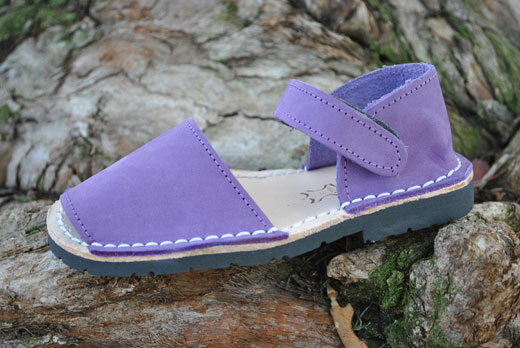 The perfect fun color to match any day's activities, our Frailera Pons Avarcas for kids in Violet are a stunning shade of purple. 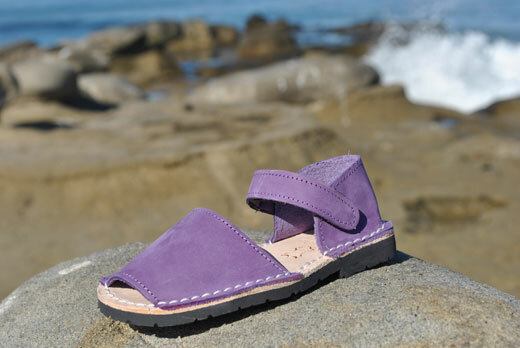 Inspired by traditional Menorquinas, these Pons sandals are crafted with nubuck leather and have a comfortable rubber sole. 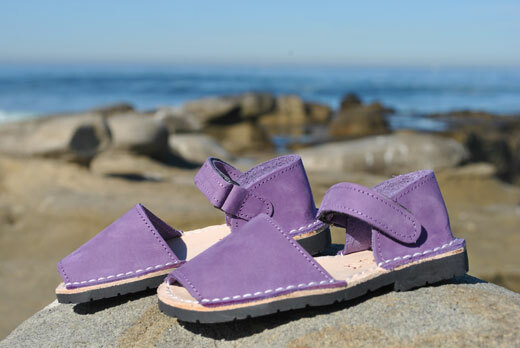 Both cute and durable, our kids Avarcas have a velcro strap closure and extra heel support for greater stability.